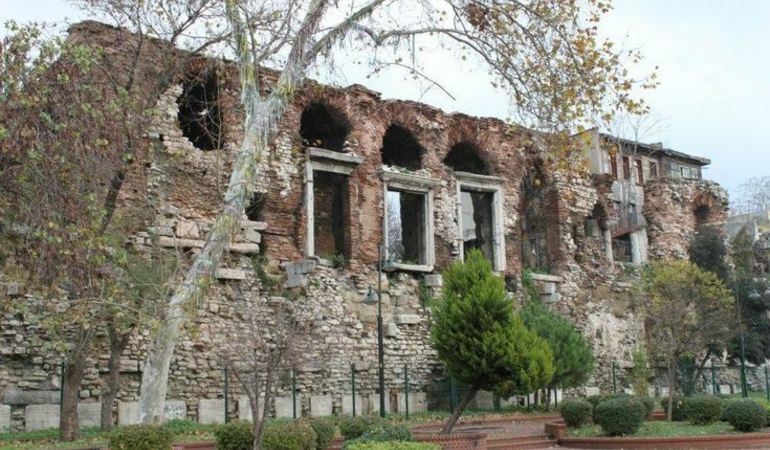 Boukoleon Palace (Bucoleon Palace) was the summer palace of the Byzantine emperors, which was built along the shores of the Marmara Sea in the south of the Great Palace of Constantinople. Boukoleon Palace (Bucoleon Palace) was the summer palace of the Byzantine emperors, which was built along the shores of the Marmara Sea in the south of the Great Palace of Constantinople. It is very probable that the palace was built in the fifth century CE, during the reign of Theodosius II (r. 408 - 450 CE). As an imperial residential complex it was a growing structure that expanded in different centuries. It functioned as the summer palace of the Byzantine imperial family until to the thirteenth century. After the Siege of Constantinople by the Fourth Crusader in 1204, Boniface I - leader of the Fourth Crusader - resided in this palace. 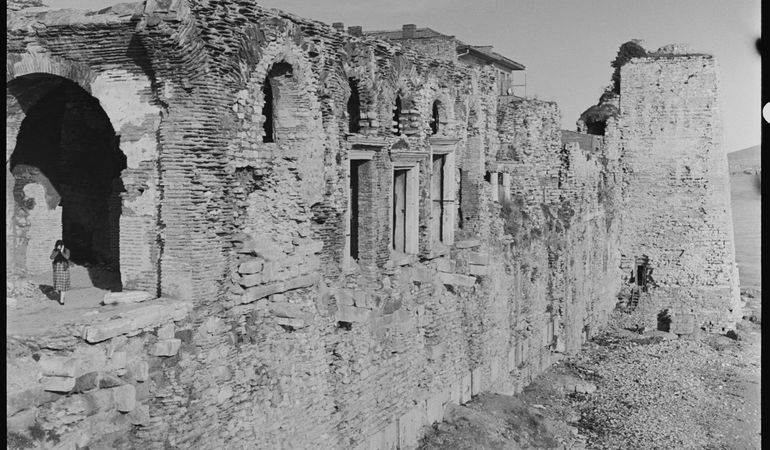 When the Byzantines took the city of Constantinople back in 1261 the Boukoleon Palace was abandoned and in ruins. Subsequently, Palace of Blachernae, located in the northwest corner of the city, became the summer palace of the Byzantine imperial families thirteenth century onwards. According to the written primary sources, 1532 Istanbul earthquake damaged the palace highly. In addition, the railway line built in the late nineteenth century destroyed the western section of the palace. 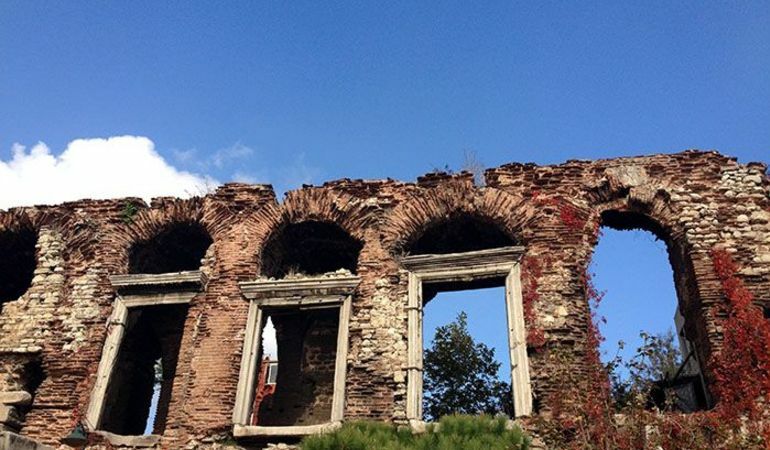 Today, the structure is in ruins and has no border with the Marmara Sea, but its monumental façade rising from the sea walls still stands for centuries. The palace’s name (Boukoleon) comes from the marble statue depicting a lion attacking a bull. In Ancient Greek "boukoleon" means "in the mouth of lion". Today, the marble statue of the lion is exhibited at the Istanbul Archaeological Museum. By the time it was built and until the twentieth century, the Boukoleon Palace had border with the sea and it had a small harbor in front of it. Today the structure has no border with the Marmara Sea due to the Kennedy Avenue built in 1963. Avenue was named after United States' former president John F. Kennedy assassination 1963. Boukoleon Palace is located on the shore of Sultanahmet and is only ten minutes walk distance from the most important sights of Istanbul: Blue Mosque, Hagia Sophia Museum, and Topkapı Palace Museum. We recommend you not to miss the Boukoleon Palace whilst you are there. You can also take a bus to Akbıyık bus stop, which is in front of the Boukoleon Palace ruins. What else is nearby Boukoleon Palace? Boukoleon Palace is located on the eastern shore of Sultanahmet neighborhood and it is close to a number of essential monuments including Hagia Sophia, Blue Mosque, Topkapı Palace, and Little Hagia Sophia Mosque (The Church of Sts. Sergius and Bacchus).